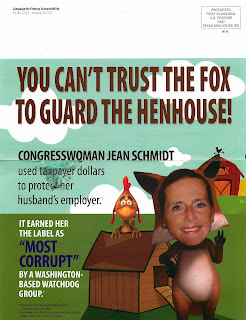 Ahhh, the creativity of those ad agencies, but they tag Schmidt well, again (except she's no fox!)! See it here. What part of town do you live in? I ask because you're not the only person I've heard this from.